The physical presence of ears does not make you a good listener. Listening makes you good listener. If you’ve created a Twitter, Facebook or [insert your favorite social media] account for your brand, congratulations, you now have ears. Are you listening? I think we’ve reached a point where most brands realize they need to be present in social media, and I think most that create a presence actually are listening, but you wouldn’t know it. You wouldn’t know it, because they’re not engaging their audiences. They’re not part of the conversation. If somebody says something nice or not-so-nice about their brands, there’s no response. Are they responding behind the scenes? It doesn’t matter, perception is reality with social media. We need to see you in social media to know you care. This post is motivated by my personal experience trying to engage with brands online lately. In most cases, I’ve been raving about how awesome I think some person, place or thing is. You know, an unsolicited endorsement or recommendation to my friends and followers. In most cases, I’ve used their Twitter handle (or Facebook page, URL, etc.). I know somebody has seen it on the other end, but no love. What gives? They don’t care – it’s not even on their radar. They’re above it. Too much to handle – it is possible to reach a level where you can’t possibly listen to it all, or engage with everyone. Justin Bieber comes to mind. Then again, Lady Gaga is notorious for engaging with her fans… it’s worked pretty well so far. Create a basic social media policy – here’s a list of 57 social media policies you can draw inspiration from. Don’t make it too “employee handbook”, but rather “guidelines for engaging.” Things won’t always go smoothly, but make a concerted effort to get better over time. Monitor your Twitter and Facebook accounts more closely. Set up alerts so you know the second somebody says something about you. If it’s nice, say thank you. If it’s a problem, help solve it. Do it publicly at first. If it needs to be taken offline, do so. Once solved, encourage them to share their experience. Use the search feature of Twitter to create some searches for your brand name. You might want to create some searches for common terms in your business, followed by a question mark. As an example, I monitor “journalism”? to see what questions people are asking about journalism. It’s a great way to discover new people and conversations related to what you do. Act online like you would offline. It’s funny, but sometimes I picture the person I’m going to engage with – would I say what I’m about to send them in a message? It makes things more interpersonal for me. It’s also a good idea to use your manners here. Say please and thank you. Pay it forward. Plenty of brands reply and say “thanks for the RT” or “thanks for following”. It can seem a little robot-like after a while. I can name a dozen or so high-profile Twitter users who have RT’d something I said about them. For me, this is a big one. It shows me they were listening – and, they thought enough to share with their network. It’s not an all or nothing type thing. Start slowly. For me, I think a basic requirement should be to at least engage with a couple of people per day. If somebody takes the time to mention you, retweet you, comment on your wall, or like your page, the least you can do is thank them or ask for their opinion on something. Right? What do you think? How can brands new to social media do a better job listening to, and engaging with, their most important audiences? Listening is the first step in social media in my mind. First you must pay attention to the conversation and what is happening. Second to become engaged yourself by constantly commenting and third is to post yourself. This will help you to create a presence on social media as well as build your creditablility. Creditablility is not only important as a business or organization but as a person as well. 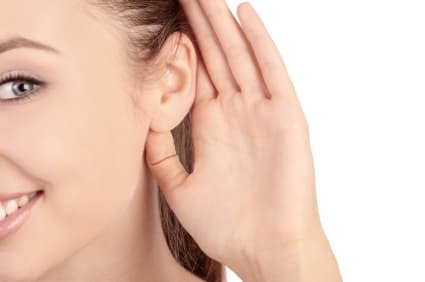 Listening is an important key in your life no matter what platform face to face, SM, or a phone call this is a key to conversation and a key to communication. Engaging your audience in social media is one of they key elements to being successful in the social media realm. I think that it’s not enough for a company to be present in social media but they have to be engaged with the customer. I think building relationships and humanizing your brand are key to building the social media success of a company. Listening is essential to building a relationship but also responding. People want to know they have been heard. Like you said it can be as simple as a retweet or a simple “thanks for following”. Very interesting comments by all. I love how quickly this stuff is being shared. I am new to a lot of this sharing and tweeting and such. I see the speed which information is shared. It’s almost quicker than the speed of light. All the things said seem to ring true for companies trying to connect with their audience. But can everything be seen or fixed via social media? Is it really that transparent? I like Tara’s point about being honest. How honest are companies? Is simply saying. “sorry” enough for a company like BP in response to the oil spill? Does it make a difference to the community if BP gets online and posts about its clean up efforts? How can words create a better world? I think for a local coffee shop like the Coffee Ethic to engage with its audience is a huge impact because they could create local “love.” Yet organizations like BP or Toyota can’t just simply create a post about how awful the company feels about the recent disaster and then follow up and expect everyone to be happy. Social networks show great promise for creating the lines of communication for consumers but to what extent do we accept the sites information or seek out further knowledge? What depicts a good engagement and what requires a little more? New brands on social sites need to be aware of what the context is of the site, 400 characters, or open forum for detailed information. Finally what is the best method for disseminating information to the masses? I completely agree. I am enrolled in a social media college course right now and I could use almost all those points you have mentioned and refer them back to my highschool job. Small popular family owned business that has a Facebook page but does not really engage with the people posting on it. Once I go home for the upcoming holiday I plan to give them my insight of social media and public relations to help them improve their Facebook page. I am going to refer them back to this post as well because I believe it is a great article to read for anyone even if you are great with social media. Can never be reminded enough about really being on your game when it comes to social media and your public. I completely agree. I am enrolled in a social media college course right now and I could use almost all those points you have mentioned and refer them back to my highschool job. Small popular family owned business that has a Facebook page but does not really engage with the people posting on it. Once I go home for the upcoming holiday I plan to give them my insight of social media and public relations to help them improve their Facebook page. I am going to refer them back to this post as well because I believe it is a great article to read for anyone even if you are great with social media. I feel that an organization can never be reminded enough about really being on your game when it comes to social media and your public. I think I am also going to encourage them to create a Twitter account along with a a weekly blog that the owners, managers and employees can post in to keep their customers up to date with what is happening with the company. Do you think that is a good reccommendation? I feel that it will be beneficial and will also let their customers get an insight with how their empolyees feel about the organization so it will make the company seem more personable. I could be wrong but that is just my personal opinion. Furthermore, how do you feel about Pinterest? Do you think organizations should create an account there or just stick with the usual Facebook or Twitter? I almost feel that organizations should just stick to the major platforms since that is what a majority of their consumers are already on. However there are so many up-and-coming social media sites that organizations are going to have to decide if they want to be a part of. Thank you so much for sharing these suggestions for listening and engaging the audience in social media. I’m a business student and taking a social media class this semester. Your suggestions are very helpful to me that I could use in my social media project, I will share them with my teammates as well as our client. Qianwen – thanks so much for taking the time to share your thoughts!